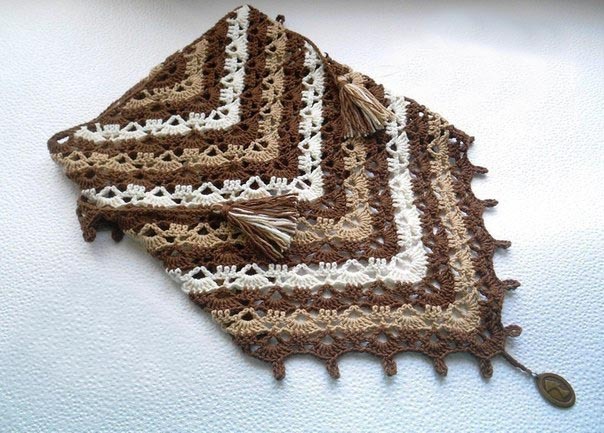 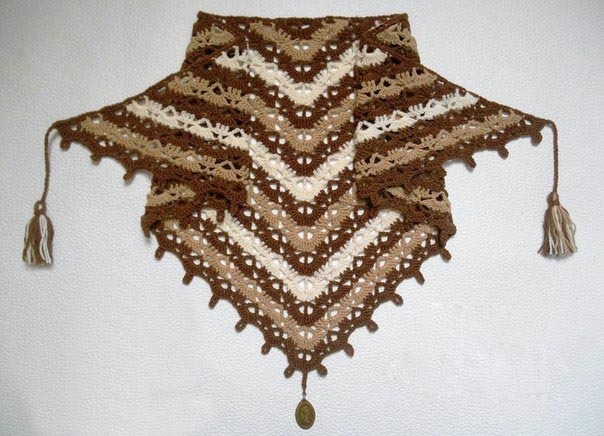 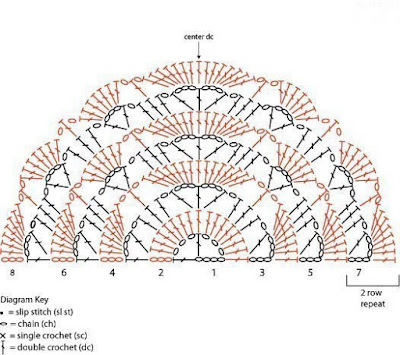 Hello, today I will share the standard of this beautiful crocheted shawl. 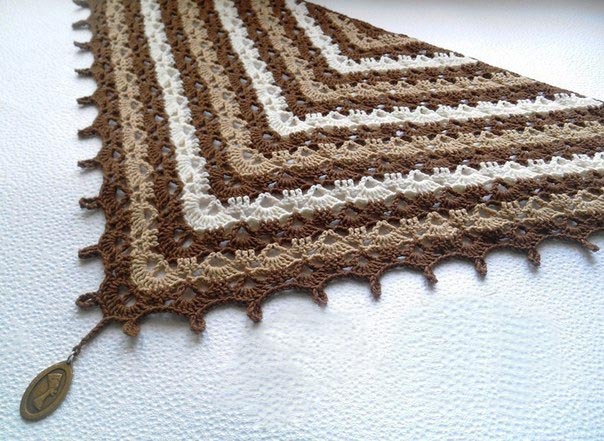 I was delighted with the colors and delicacy of this shawl. A shawl is a piece that every woman must have in the wardrobe in winter days crochet shawl warm and leaves no gorgeous look. The shawl is good at any time, even in the most formal.